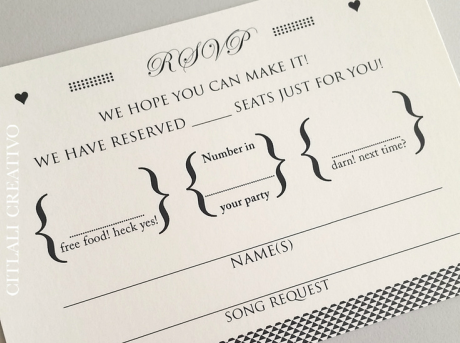 One thing that can be frustrating across the board for any event that someone plans is receiving the RSVP’s promptly or not receiving them at all! With our RSVP Tracking, our clients have had more success in the number of RSVP’s they receive, and also the rate in which they are returned. It was actually a surprise discovery in seeing the differences between our clients handling their own RSVP’s as compared to using our services. ​We attribute the success to many different things with a strict procedure on how the invitations, RSVP cards and envelopes are coordinated, composed, printed, and addressed. ​the form for RSVP Tracking! Interested in our RSVP Tracking service?